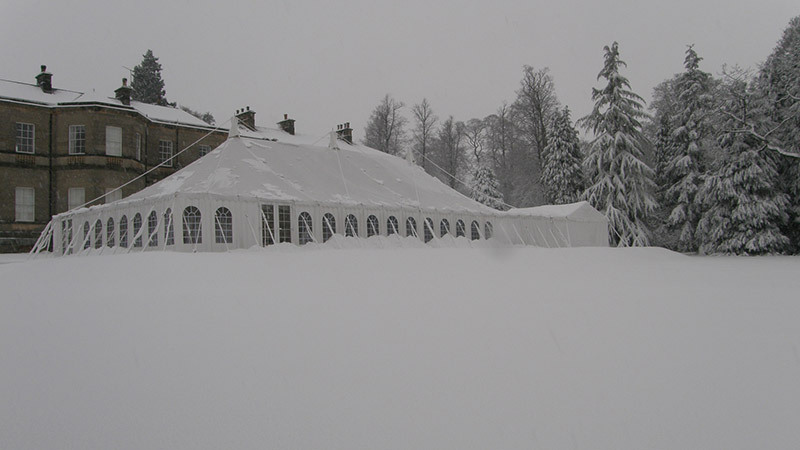 It’s that time of year again - Winter Safety Inspection for Marquees. With winter approaching we strongly advise that this is carried out if your marquee is to be left in situ during the winter months and ensuring the structure is safe, not only for your customers but members of staff too. As we are now planning our autumn timetable we would be pleased to carry out a winter safety inspection for your marquee, or if you would like the marquee dismantled, checked and cleaned we can also arrange for this to be carried out. Please contact us to arrange a suitable date.